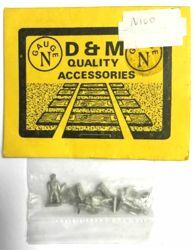 D&M is another cottage casting industry in the UK. It appears to be defunct, as there isn't a trace of them to be found on the Internet outside of a single seller carrying some old stock. 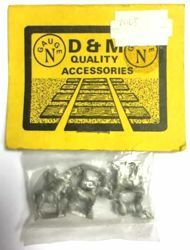 These unpainted cast metal figures and kits are typical of those offered by countless British cottage industries. All that remains to be found of their products that include figures are three items: N100, seven figures; N104, six grazing and lying cows; and N105, six standing horses. Photos from Norman Wisenden. 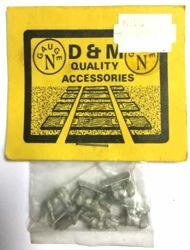 Norman Wisenden appears to be the sole remaining source of these old products.